4 Beds 2 Baths 1,439 Sq. 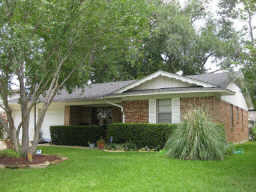 ft.
Gorgeous updated 4 bedroom house in Richardson. Hardwood flooring throughout, Large kitchen with new appliances, and bathrooms completely redone! Includes a 5 person hot tub with lounger that sits on the large wooden deck in back of home. This home is a must see, and priced to sell quickly!